Today, thousands of demonstrators will take to the street for the third annual Women’s March in New York City. 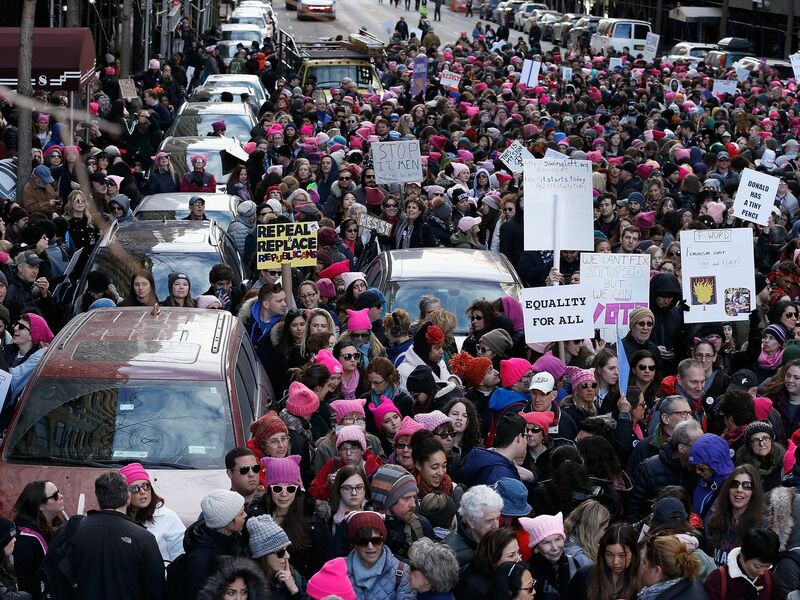 The event began in 2017 as a way to show support for women’s rights after the inauguration of President Donald Trump; last year, an estimated 200,000 people took to the streets for the event. Marchers should also plan for it to be cold, with an expected high temperature in the mid-30s. The winter storm that’s moving into the New York area isn’t expected to begin until Saturday afternoon but it’s best to be prepared. On the most basic, non-political level, this means street closures, which means traffic in Manhattan will be a bit of a mess on Saturday. Whether you plan to participate in one of the events, or just want to know how it’ll impact your commute this weekend, we’ve got you covered. When will the 2019 Women’s March on NYC take place? Both events happen on Saturday, January 19. For the Upper West Side march, demonstrators will begin lining up at Central Park West and 72nd Street at 10 a.m., and following a rally, will march through Midtown down to 44th Street and Sixth Avenue. Marchers with disabilities or those who need an ASL interpreter should enter at 61st Street and Broadway. The lower Manhattan event will take place at Foley Square, located where Centre and Lafayette streets meet, across from the New York state Supreme Court building. 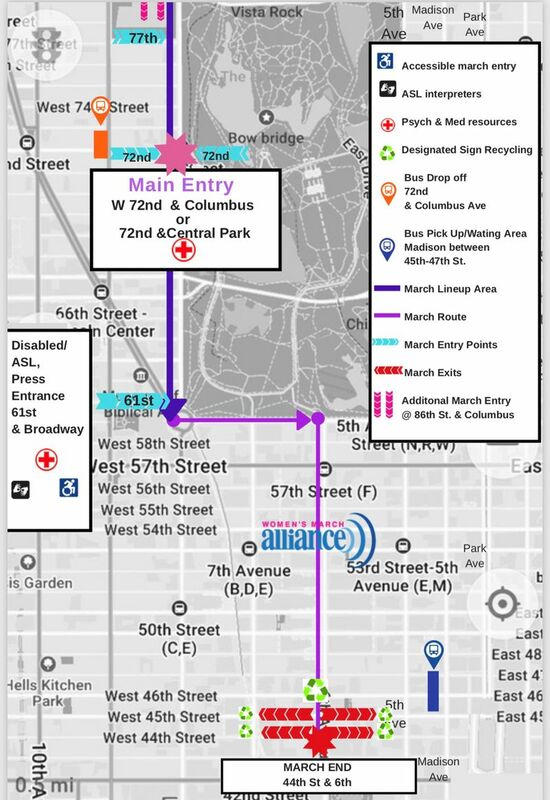 It starts at 10 a.m. and ends at 2 p.m.
What’s the route for the Women’s March on NYC? Which streets will be closed for the Women’s March on NYC? What’s the best way to get to the Women’s March on NYC, and what will the subway be like on Saturday? Public transportation will be your best bet: The closest subways to the start of the march are the 1/2/3 and the C to 72nd Street; for lower Manhattan, the 4/5/6 to Brooklyn Bridge-City Hall and the J to Chambers Street are the closest stops. Check the MTA’s Weekender site or the MyMTA app for any potential snags on Saturday. Additionally, Metro-North will run additional trains on its Hudson and New Haven lines to accommodate marchers who may be coming to the city from out of town.